With a rich, soulful country and bluegrass sound, Flatt Lonesome has been earning awards and attracting fans since 2011. 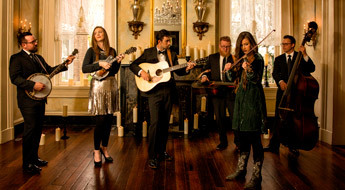 Twice named the International Bluegrass Vocal Group of the Year by the International Bluegrass Music Association, Flatt Lonesome features six brilliant musicians performing original songs as well as country, bluegrass and roots classics. If you enjoy high lonesome harmony, soaring sibling vocals and powerful bluegrass music, you’ll love Flatt Lonesome.